Will be on view Tuesday July 1st, in Penrose 107, 6-9 in the international cinema class. The class starts at 6, the teacher, Erin Moran usually starts with an intro and some questions for the class to think about so come a little late or wait outside until the lights turn off. This is a great site. Updated daily! Lots of artist's links. 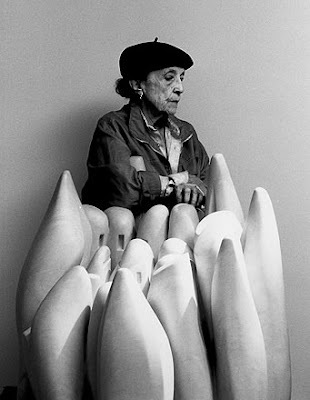 Louise Bourgeois is a full-career retrospective of one of the most important artists of our time. This exhibition, which will fill the entire Frank Lloyd Wright rotunda and one adjacent gallery, will be the most comprehensive examination to date of Bourgeois’s long and distinguished career. Born almost a century ago, Louise Bourgeois has remained steadfastly at the vanguard of the development of contemporary art for more than 70 years, and continues to create new bodies of work with characteristic energy and restless innovation. Throughout a career that has intersected with many of the leading avant-garde movements of the 20th century, including Surrealism, Abstract Expressionism, and Post-Minimalism, she has remained resolutely committed to a singular creative vision. Although her oeuvre includes painting, drawing, printmaking, and performance, Bourgeois is best known for her sculptures, which range in scale from the intimate to the monumental, and across a diverse array of mediums including wood, bronze, latex, marble, and fabric. Moving freely between abstraction and figuration, she has developed a richly symbolic visual idiom that encompasses totemic forms, ambiguously gendered anatomical fragments, and towering spiders, as well as the assemblages of found objects that are encased in her environmental-scale installations. These images powerfully articulate the psychological imperatives that drive her artistic process, based in large part on memories of a troubled childhood in France and her subsequent struggle to find personal equilibrium throughout her adult life. Louise Bourgeois presents a nuanced exploration of the artist’s distinctive iconography and major themes, in an installation that evokes both an intensely individualized process of introspection, and the universal complexities of the human experience. This exhibition is organized by the Solomon R. Guggenheim Foundation in association with Tate Modern, London, and Centre Pompidou, Paris. The Leadership Committee for Louise Bourgeois, with founding gifts from John Cheim and Howard Read, Karsten Greve, and Iwan Wirth, is gratefully acknowledged. There is also a new movie out on her, Louise Bourgeois: The Spider, The Mistress and The Tangerine. So lately all of the posts have been calls for work or upcoming events. A lot of the events are Philadelphia related but not necessarily Tyler Grad related or even art related... Any grads have some good stories or pictures to show? I have been in class all summer long so far weaving weird small tapestry/mixed media things. If you are bored of this blog, look at my website. The news section is updated so you can mark your calendars. Also, all of the names on the right are website links so you can go get ready to crit the newbies work by reading their statements and such. Or one of the 07 photography grad alum Ivette Spradlin just contacted me to add her site to the alumni list and her work is interesting. I like the anything web project, its nothing containable as in I dont really understand what im looking at. If they are photographs, animations, or things that exist digitally only. I think the images even move. I hope everyone is having a fun summer! I went last year and its packed with goods, like so much so its hard to walk, not just punk rock items but also homemade accessories and handprined t-shirts. It also has lots of stuff, like garage sale style used items, record stores bring records, etc. 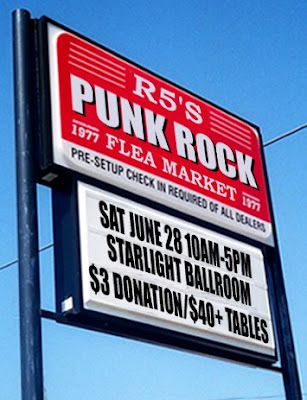 Its an awesome event, proceeds go to R5 to keep shows happening in Philadelphia. Shows = music in this case not art. R5 Productions is a local d.i.y. music promoter place, it lists music events that are happening in the city and even includes samples of the music if you aren't familiar with it. Philadelphia has one extensive music scene, from house shows to huge venues that ill probably never afford to the Church, which has shows about once a week if not more. With bands coming in from all over the world. 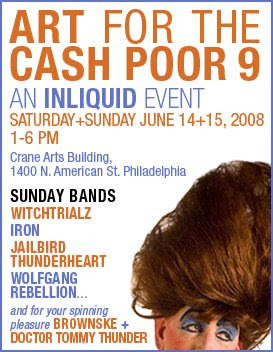 One of my favorite parts about living in Philadelphia is seeing live good music very often at affordable prices. I recommend not going alone, or else park as close as possible to the Ballroom. You can pay the guys to park your car in the lot, but its really just a scam. They keep an eye on your car though so thats good. I usually park my car on Spring Garden and walk quickly. Last year one of the guys in Project Runway was selling his stuff here, it was kind of funny and stood out as the only really "nice" things. Will be on view Thursday June 26th, in Penrose 107, 6-9 in the international cinema class. The class starts at 6, the teacher, Erin Moran usually starts with an intro and some questions for the class to think about so come a little late or wait outside until the lights turn off. So, apparently, there is a new skatepark in the works for Center City, Philadelphia. A replacement for the Love park, park. Though most skateboarders know of FDR which is at Broad and Pattison Avenues, under 95. But anyways, this new fetus of a skatepark is having a fun raiser that includes very cool art and live music. Celebrate and Support Paine's Park Project, a movement to build a 2.5 acre skatepark in Center City Philadelphia. LOTS OF ART AND MUSIC!! At the corner of Shurs Lane and Cresson. Call for Photography: July 1st Deadline! Photographers working in all styles, in traditional or digital formats, are invited to enter up to two of their photographic images for the international juried photography exhibition Glimpses in Time. The top award recipient will receive a solo exhibition at the Joyce Gordon Gallery. Entry forms and submission guidelines can be found at: www.joycegordonphotographygallery.com. Steven Wirtz, owner of the prestigious Steven Wirtz Gallery in San Francisco, will be the sole juror. Opening in 1972, the Steven Wirtz Gallery has become one of the most established galleries in California, with a strong focus on photography. Visit us at www.joycegordonphotographygallery.com to obtain the submission instructions. Sotto Voce magazine is looking for submissions from artists and photographers for our first issue, slated for publication this fall. The submissions deadline is August 20, 2008. Their submission guidelines and a form for submitting work can be found here. Sotto Voce are looking for unpublished, original artwork (drawings, painting, illustrations) and photography. Although this is their first issue, they are paying $10 or more (based on budget) per piece, and rates will increase every issue. New application guidelines for the 2008 Professional Development Fellowship Program are now available on the CAA website. This year, application forms and requirements for both the visual-art and art-history fellowships have changed in order to facilitate the review process. Submission of material by all applicants must now be sent on CD or DVD; slides, videocassettes, and some paperwork in hard copy are not accepted. CAA awards fellowships in the amount of $15,000 to qualified graduate students in visual art and art history. In addition, one or more fellowships are awarded to a PhD student specializing in American art; this award is made possible with support from the Wyeth Foundation for American Art. As in the past, honorable mentions may also be recognized. The main purpose of the fellowship program is to support outstanding graduate students from diverse backgrounds who may have been underrepresented in their fields. By offering financial assistance to promising MFA and PhD students, CAA can assist the rising generation during this important transitional period in their lives. Unlike previous years in which CAA fellowships were awarded in two parts—$5,000 to fellows at the outset and $10,000 to an employer upon recipients securing a professional position (with a two-to-one matching requirement)—fellows are now honored with a one-time grant of $15,000 to help them with various aspects of their work, whether it be for their job-search expenses or purchasing materials for their studio. Go to www.collegeart.org/fellowships to download the applications, which have specific requirements; published below are general guidelines. Applicants to the art-history fellowships must include the following on a CD: application form; essay; CV; dissertation prospectus; sample dissertation chapter; and timetable for dissertation completion. Letters of recommendation; a copy of your 2007 IRS income-tax form or 2008 Free Application for Student Federal Aid (FASFA); and graduate transcript must be submitted in hard copy and mailed to CAA with the CD. The application deadline is October 1, 2008. Fellows are chosen by December 31, 2008. Visual-art fellowship applicants must include the following on CD or DVD: application form; essay; résumé or CV; description of your MFA exhibition and its timetable; all visual documentation (up to six images of your work, properly labeled and formatted for both PC and Macintosh); and image script (caption list and short descriptions of the work). Letters of recommendation; a copy of your 2007 IRS income-tax form or 2008 Free Application for Student Federal Aid (FASFA); and graduate transcript must be submitted in hard copy and mailed to CAA with the CD or DVD. Will be on view Thursday June 19th, in Penrose 107, 6-9 in the international cinema class. The class starts at 6, the teacher, Erin Moran usually starts with an intro and some questions for the class to think about so come a little late or wait outside until the lights turn off. The last movie that we watched was really good, Wings of Desire is romantic and depressing, its set in Berlin, features a beautiful trapeze artist, and you all should have been there! Here's to hoping everyone has seen this movie already. Newspace Center for Photography, Juried 2008 Exhibition Available on Blurb.com! 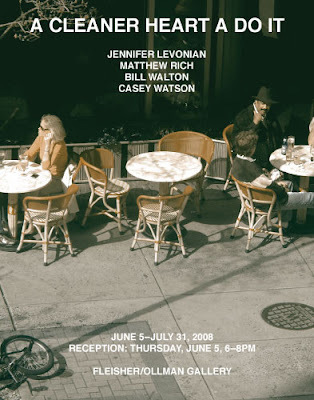 Speaking of good books of upcoming artists, the Newspace Center for Photography has made a catalog for their 2008 Juried Exhibition. And it is available to you through blurb.com. 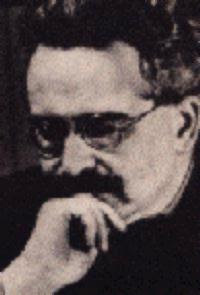 Above is a link to the specific book. I have a piece in the show, and a page in the book. It is all photography, all wonderful! You can't see my image in the books preview option, as it is only the first fifteen pages, mine is after the first fifteen pages. 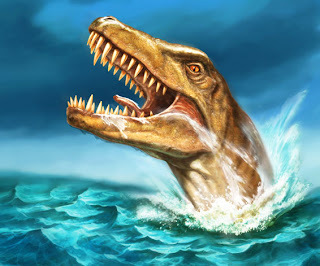 This image is a T-Rex in the water, not a sea monster. PLEASE VISIT MY ONLINE PORTFOLIO! I entered a portfolio in the Artist Wanted "Exposure" competition. In line with the entry they make what you have entered into an online portfolio, for which they are giving a $500 prize to the artist whose portfolio is the most popular, i.e. the most visited. Help me out! Please visit my portfolio! I'll buy the next round! 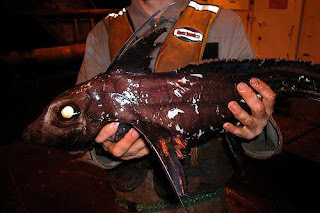 PS I've been researching sea monsters -- this one is REAL! Happy swimming! I always like to look in the New American Paintings juried exhibition periodical, mostly because of how many people have a Tyler MFA, and seeing the various styles that come out of other grad programs or regions but also because they have pictures of the artists themselves. 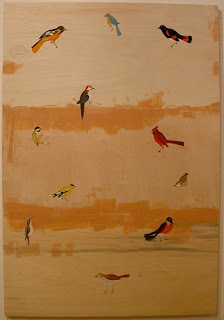 Natasha Bowdoin is a very recent grad of Tyler School of Art's painting program, 2007 to be exact. 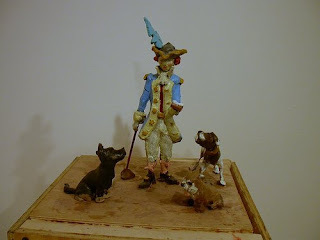 And she and her work are in the newest New American Painting periodical, #75. That is very cool, in my opinion, I will be posting the information for applying in the fall, in October, so that more familiar faces can be in this. Also very cool is that there is an artist using embroidery in this one, I forgot his name but its all about identity and the threads that weave us together, he mentions Myspace and Facebook, which bores me but I think thats probably where his imagery comes from. But its a good thing for us fiber people, if its 2d it may qualify. Will be on view Tuesday June 17th, in Penrose 107, 6-9 in the international cinema class. The class starts at 6, the teacher, Erin Moran usually starts with an intro and some questions for the class to think about so come a little late or wait outside until the lights turn off. Art All Around, the international art competition to design the painting of 16 Sprague Energy oil tanks in So. Portland, Maine, USA. The Maine Center for Creativity's Art All Around™ international design competition has been launched. We are especially interested in your participation. The deadline for submissions is June 25th, 2008. There is no entry fee. Please share this information and the rules of the competition to all your creative contacts and associates. Rules and Submission Requirements can be found at www.artallaround.com . 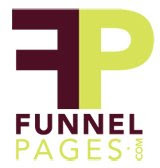 There is $70,000 in cash prizes available for five winners. This competition is open to everyone. All interested individuals, artists, designers, architects, illustrators, engineers and teams, from any location throughout the world, region or culture are eligible to apply. An individual or a team may enter, including teams from multiple disciplines. There is no limit to the number of team members. Professional artists, emerging artists, students, and newcomers to the public art field are also encouraged to enter. WHEN it comes to fashionably obtuse language, the art world is one of the leading offenders. Academic pretensions flash through like brush fire, without a drop of cold water splashed their way. “Reference” and “privilege” are used relentlessly as verbs, as in “referencing late capitalism” or “privileging the male gaze.” Artists “imbricate” ideological subtexts into their images. Some may think such two-bit words reflect important shifts in thought about art, but they usually just betray an intellectual insecurity. Referencing — rather than referring to — is probably here to stay. It has appeared in The New York Times 295 times since 1980 (including 6 transgressions by this writer). This year it was used 42 times, a record, nearly double last year’s 22. But privileging — instead of favoring — could still be deflected; it has been used only 34 times since 1980 in these pages (O.K., once by me). Another lamentable creeping usage is not only pretentious, but it distorts and narrows what artists do. I refer to — rather than reference — the word practice, as in “Duchamp’s practice,” “Picasso’s studio practice” and worst of all, especially from the mouths of graduate students, “my practice.” Things were bad enough in the 1980s, when artists sometimes referred to their work as “production,” but at least that had a kind of grease-monkey grit to it. The impetus behind practice may be to demystify the stereotype of the visionary or emotion-driven artist, and indeed it does. It turns the artist into an utterly conventional authority figure. First off, there’s the implication that artists, like lawyers, doctors and dentists, need a license to practice. Of course it could be said that too many artists already feel the need for such a license: It’s called a master of fine arts. But artists don’t need licenses or certificates or permission to do their work. Their job description, if they have one, is to operate outside accepted limits. Second is the implication that an artist, like a doctor, lawyer or dentist, is trained to fix some external problem. It depersonalizes the urgency of art making and gives it an aura of control, as if it is all planned out ahead of time. Art rarely succeeds when it sets out to fix anything beyond the artist’s own, subjective needs. (Does Paul McCarthy covered in ketchup constitute a “practice”? Please.) If an artist’s work helps other people to fix things within themselves or, more broadly, in society, though, so much the better. Finally, practice sanitizes a very messy process. It suggests that art making is a kind of white-collar activity whose practitioners don’t get their hands dirty, either physically or emotionally. It converts art into a hygienic desk job and signals a basic discomfort with the physical mess as well as the unknowable, irrational side of art making. 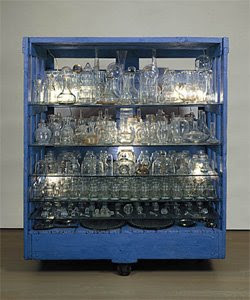 It suggests that materials are not the point of art at all — when they are, on some level, the only point. Artists turn whatever intangibles they use — including empty space, language or human interaction — into a kind of material. They mess with things, making them newly palpable and in the process opening our eyes. This point is made eloquently in the current Lawrence Weiner exhibition at the Whitney Museum, with its cryptic phrases flung across walls, and the staged interactions in Tino Sehgal’s debut show at the Marian Goodman gallery, where the atmosphere is charged by mere talk and a few choreographed poses. Both artists have wrestled mightily with language and space, structuring them in a way that makes them undeniably art. Are they practice-ing? I don’t think so. so this might be way off topic, but, yeay celtics! woo boston! Andrea Pippins wants you to know!! 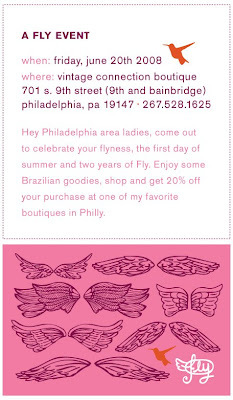 Hey Philadelphia area ladies, come out to celebrate your flyness, the first day of summer and two years of Fly. 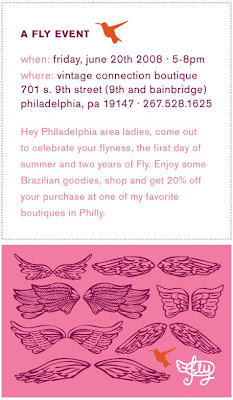 Enjoy some Brazilian goodies, shop and get 20% off your purchase at one of my favorite boutiques in Philly. 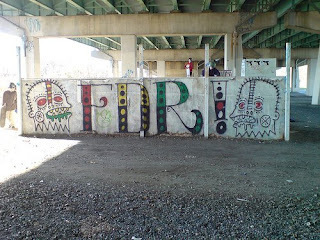 Located at Girard and Frankford Aves. If you had five minutes on stage what would you say? What if you only got 20 slides and they rotated automatically after 15 seconds? Around the world geeks have been putting together Ignite nights to show their answers... and now it has come to Philadelphia! 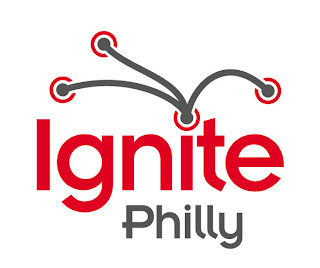 IgnitePhilly is free and open to the public, and will be buzzing with speakers bound to ignite Philadelphia's creative class. Speakers include: Sean Buffington of the University of the Arts, Brian Lang of the Food Trust, Chad Ludeman of the 100K House, Mindy Watts and Leah Murphy of the Interface Studio, Randy Schmidt, Chris Conley & Jason Trembley of iSepta, Sara Selepouchin of Etsy, Alex Hillman of Indy Hall, Marisa McClellan & Scott McNulty of Fork You, Kristin Thompson of the Future of Music, Blake Jennelle of Philly Startup Leaders, Rick Banister of P'unk Avenue, Jeff Stockbridge, Slavko Milekic of the University of the Arts, Robert Cheetham of Avencia, Don Miller aka NO CARRIER, Pete Tredish of the Prometheus Radio Project, Russell Meddin of Philly Bike Share, Evan Malone of Fab@Home, and Jeff Burk of Neat Receipts. Images of painting MFA, R. Nick Barbee's work in the SOLID GOLD exhibition at Vox Populi, will be up until June 27th, 2008. Philadelphia Weekly article online here. Stolen from Roberta and Libby's Flickr page. Tackling the controversial subject of a cross-cultural love affair, writer-director Mani Ratnam's film personifies Hindu-Muslim racial tensions. A south Indian Hindu man marries a Muslim woman, and the couple soon bears twin boys and moves to Bombay. The family is separated during the early 1990s -- a turbulent time when racial tensions were high in the area -- and the parents must search hospitals, morgues and shelters for their children. Will be on view Tuesday June 10th, in Penrose 107, 6-9 in the international cinema class. The class starts at 6, the teacher, Erin Moran usually starts with an intro and some questions for the class to think about so come a little late or wait outside until the lights turn off. Do you remember the last fun piece of mail you received (something that was not a bill...) and how excited it made you feel? Artist Chris Barr harnesses snail mail technology as a commerce free exchange in his project The Bureau of Workplace Interruptions. In this project, workers can sign up online to be distracted for a while at their workplace. The BWI agents "create surprise, the kind that slices through the banal and opens up new places for your mind to wander. The ruptures [they} create are temporary spaces for open dialogue, invisible resistance, and general amusement." In this short and humoristic talk and workshop, Chris will discuss the idea behind his Networked Performance project as a form of art for social criticism as well as instruct you on the medium of mail art. 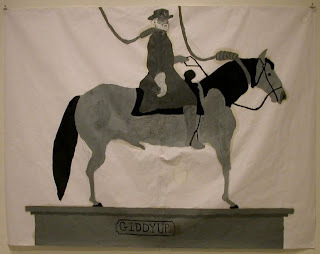 You will have a chance to talk with a professional artist who has exhibited across the United States and around the world and participate in one of his project by creating your own mail art. This is free and accessible to everyone. Bring your friends, kids and grand-mothers and become BWI Special Agents! Please RSVP via email or phone so we know how many people to expect. To learn more about Chris and his projects visit his website. Pittsburgh Biennial 2008 at the Pittsburgh Center for the Arts. 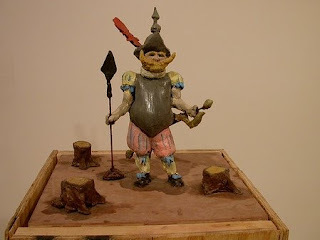 If you happen to be in Pittsburgh you should check out the Pittsburgh Biennial 2008 at the Pittsburgh Center for the Arts. This show opened on May 3rd and will run until August 24th. It is running concurrently with The Carnegie International. 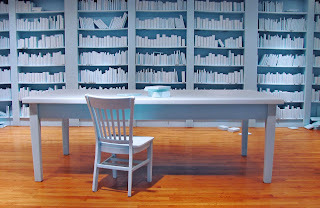 My friend Adam Welch has an installation in the show entitled Reference, Styrofoam, audio component, and audio loop, 26' x 18' x 8', 2007-2008, which recreates an entire library room out of blue Styrofoam. The Styrofoam vibrates causing the books to shake and fall from the shelves. Adam Welch received his MFA in Sculpture from Indiana University of Pennsylvania, and is the Pittsburgh Emerging Artist of the Year-2008. While in Pittsburgh (my hometown) I recommend you check out Winifred Lutz's permanent garden installation at The Mattress Factory and also the Three Rivers Arts Festival is coming up, June 6th-22nd, where there will installations in used shipping containers entitled Contained, another friend, Ryan Keene, will be featured in this exhibition. Ryan Keene also received his MFA in Sculpture from Indiana University of Pennsylvania. So now that lots of people are moving to Fishtown and Northern Liberties, we have to find stuff to do and places to eat. There is no shortage of super yummy cafes and cool new galleries, something I found thanks to the Art Star Crafts Bazaar goodie bags was Movie Night at Liberties Walk. 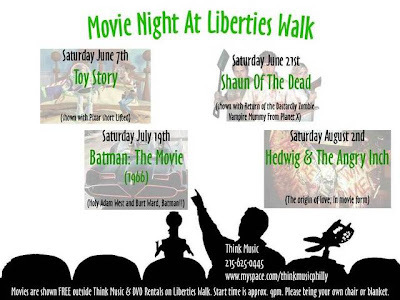 Im missing Toy Story to go to Boston, but you should go, because that movie is amazing. This month Vox Populi presents Solid Gold, a group exhibition juried by Adelina Vlas, Assistant Curator for Modern and Contemporary Art at the Philadelphia Museum of Art, and Sarah McEneaney. Artist. 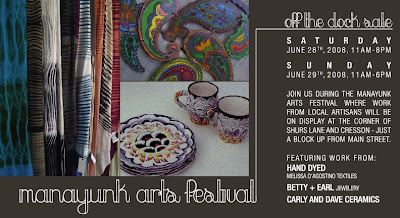 Vox Populi is proud to announce the opening of its 4th Annual Juried Exhibition. This years exhibition entitled Solid Gold brings together 24 emerging artists from Philadelphia area and from around the country. Since Vox’s inception in1988, Vox Populi’s mission has been to support the work of new and emerging artists and to show new and emerging art forms. With this exhibition, the tradition continues. This year’s show includes work by: D. B. Stovall, Mike Smith, Daniel Payavis, Serena Perrone, Corrie Tice, Cara Erskine, Robert Goodman, Emily Denlinger, Nathan Prouty, Amy Lincoln, Rachel Frank, Jonathan Schoff, William Lohre, R. Nick Barbee. Mark Klassen, Daniel Gerwin, Hannah Smith Allen, Abby Donovan, Lee Arnold, Bang-Geul Han, Pamela Sunstrum, Edward Carey, Samuel Ekwurtzel, and Zach Rockhill. The artists were selected from a pool of over 250 applicants by Adelina Vlas, Assistant Curator for Modern and Contemporary Art at the Philadelphia Museum of Art, and Sarah McEneaney, Artist. Vlas and McEneaney selected a wide range of mediums- painting, sculpture, photography, drawing, interactive installation, video, ceramics- and artists who were investigating, challenging, and mastering those mediums the materials and techniques they employ. Concurrently, the artists in Solid Gold represent a broad range of subject matters, ranging from serious questioning of social issues and investigation of language and gender, to the creation of humorous and at times absurd scenarios. 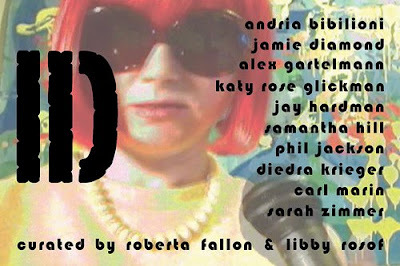 Will be on view June 5th, in Penrose 107, 6-9 in the international cinema class. I wont be there tomorrow, but this movie is really awesome. The class starts at 6, the teacher, Erin Moran usually starts with an intro and some questions for the class to think about so come a little late or wait outside until the lights turn off. I will be posting the other movies a day before they are being played so that you can come see some free movies if you are on campus. Class is Tuesdays and Thursdays 6-9, a movie is not played every class, but just so you know when to be prepared for a free movie. 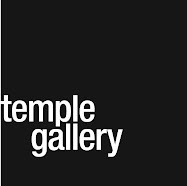 Thank you, as ever, for your continued support of the Fleisher/Ollman gallery and the Philadelphia art scene. Have a lovely summer. June 6th 5 - 8 PM!! "Black Iconography" performance by Samantha Hill June 6th, 7PM. Summer gallery hours are Thursday and Friday 4 p.m. to 7 p.m. and Saturday noon to 7 p.m. True to the zeitgeist, the artists use the self to express the political, environmental and personal. Documenting the seemingly mundane of the everyday, these works morph into an escapist fantasy. As Fallon and Rosof state, “their art is questioning their relationship to their families and friends, to the past, to the city, to the camera even.” Whether fabricating an alternate persona through video, documenting a false or surrogate family through photography, or constructing impossible landscapes of impractical materials, the artists express experience via the filter of their own “ID”. Through the embrace of the self-as-subject, these young artists confront the contemporary world by retreating into one of their own creation. Artists include from Moore College of Art and Design, Samantha Hill; from Tyler School of Art, Andria Bibiloni and Carl Marin; from The University of the Arts Jay Hardman, Alex Gartelmann and Phil Jackson; and from University of Pennsylvania Jamie Diamond, Katy Rose Glickman and Sarah Zimmer; from Vermont College of Fine Arts, Philadelphia-based artist Diedra Krieger – all representing the spectrum of the Philadelphia art experience. 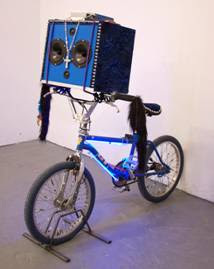 Image: Andria Bibiloni, Blaster Bike, dimensions variable, mixed media. Curators' Statement: The young artists in this show, most of them newly-graduated from art schools in Philadelphia are myth-makers, creating alternate universes and alternate personas. Some of them make work touched by the idea of faux. Unlike Matthew Barney and Matthew Ritchie, both of whom mythologize on a grandiose scale, these artists mythologize on an intimate personal scale. It doesn't mean their works are small or lacking in ambition. The works are metaphorical in ways that come out of the core of who they are and what they see around them. Their art is questioning their relationship to their families and friends, to the past, to the city, to the camera even. These are not future-focused works, nor are they nostalgic particularly. Some of them may strike you as forlorn. But they're tough works and realistic. They're smacking upside the head the Leave It to Beaver cultural imperative. The reception is free and open to the public. For more information or images, please contact Projects Gallery at 267-303-9652 or info@projectsgallery.com. Our annual sampling of student work will be featured in our November/December 2008 issue and is open to current students in a collegiate-level fibers program. 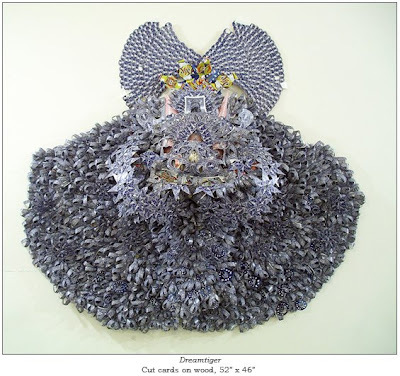 Image: Wei-Hui Hsu, Potential Cell No. 21—Body Landscape, 2006; facial masks, fabric stiffener; 34" x 183⁄4' x 10'. From our 2007 Student Sampling.